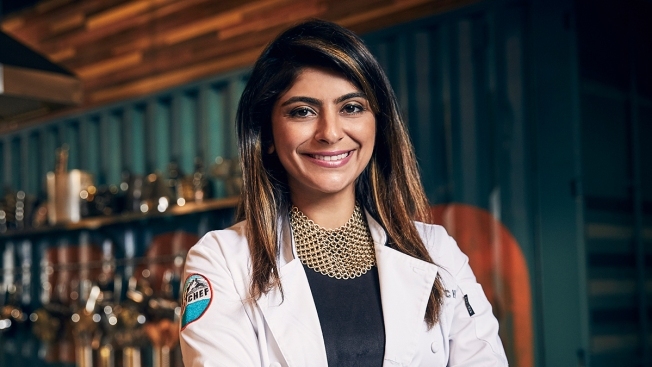 Ali wrote Tuesday in an essay for Bon Appetit that the "cancer cells my doctors believed had vanished are back with a vengeance in my left hip and femur bone"
Fatima Ali as photographed for Bravo's "Top Chef." Former "Top Chef" Fatima Ali says she has a year to live. The 29-year-old underwent surgery to remove a tumor in January. However, Ali wrote Tuesday in an essay for Bon Appetit that the "cancer cells my doctors believed had vanished are back with a vengeance in my left hip and femur bone." Ali says her oncologist told her she has a year to live, "with or without the new chemotherapy regimen." 'Top Chef' contestant @cheffati and her doctors thought her cancer had vanished. Then she was told she had a year to live. Here, she writes about how the terminal diagnosis is giving her a new perspective on life: "It’s funny, isn’t it? When we think we have all the time in the world to live, we forget to indulge in the experiences of living. When that choice is yanked away from us, that’s when we scramble to feel. I am desperate to overload my senses in the coming months, making reservations at the world’s best restaurants, reaching out to past lovers and friends, and smothering my family, giving them the time that I so selfishly guarded before." Head to the link in our profile to read her full essay. She writes she used to dream of owning her own restaurant. Now she has a growing list of restaurants to visit and is "sketching a plan" to eat her way through New York. Ali says "every day is an opportunity for me to experience something new."